Too Much Love in Paris? 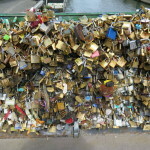 The locks of love in Paris–padlocks stuck on bridges and carved with lovers initials–are hurting Paris’s bridges. A grill at the Ponts Des Arts was overladen and collapsed on Sunday, causing the bridge to be shut down. Although it is a charming idea for lovers, it has gotten out of hand and Paris Mayor Anne Hildago is looking for alternatives. 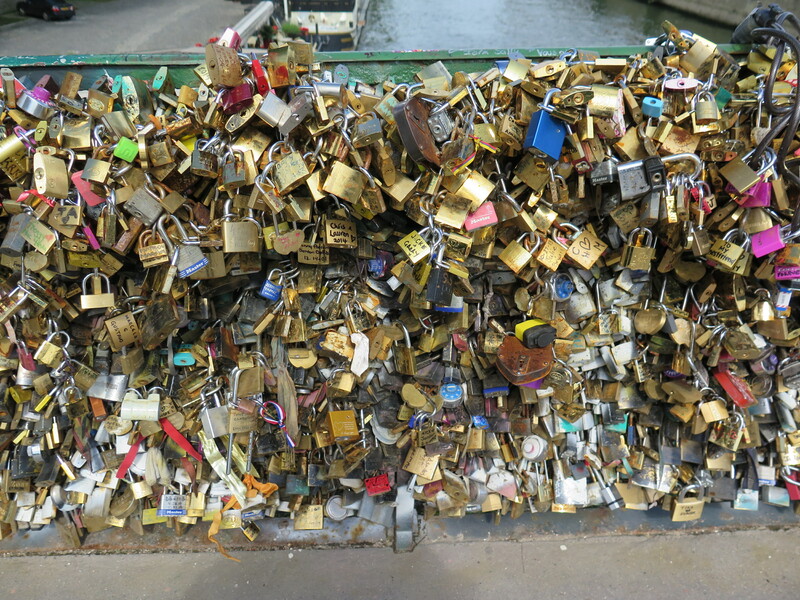 Any ideas of what lovers could do to commemorate their time in Paris without hurting a bridge? 1 comment to Too Much Love in Paris? My lovers and I like to take a metal file and etch a small notch in the base of the Eiffel Tower. (Those 37 notches you see at the north end are mine.) It would be fun if this idea caught on! P.S. If you’re the couple whose love lock caused the collapse of the Ponts des Arts bridge, you might want to go slow with your relationship.